All songs by Donovan P. Leitch, except 03 by Jane Bowers, 05 by Woody Guthrie, 06 and 09 traditional arranged by Donovan, 07 by Mick Softley and 11 by Aaron Zeitlin, Sholom Secunda, Arthur S. Kevess and Teddi Schwartz. All songs by Donovan P. Leitch, except 01 by Bert Jansch, 02 by Paul Benarth, 04 traditional arranged by Donovan P. Leitch, 08 by Shawn Phillips, 10 by Buffy Sainte-Marie, 11 by Bert Jansch and 12 by Mick Softley. 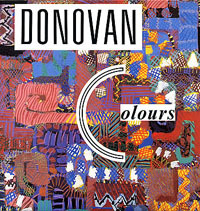 · In 1987, PRT Records assembled and released a compilation of Donovan's Pye recordings. The album was released on both vinyl and compact disc and marks the first compact disc release of many of the songs.